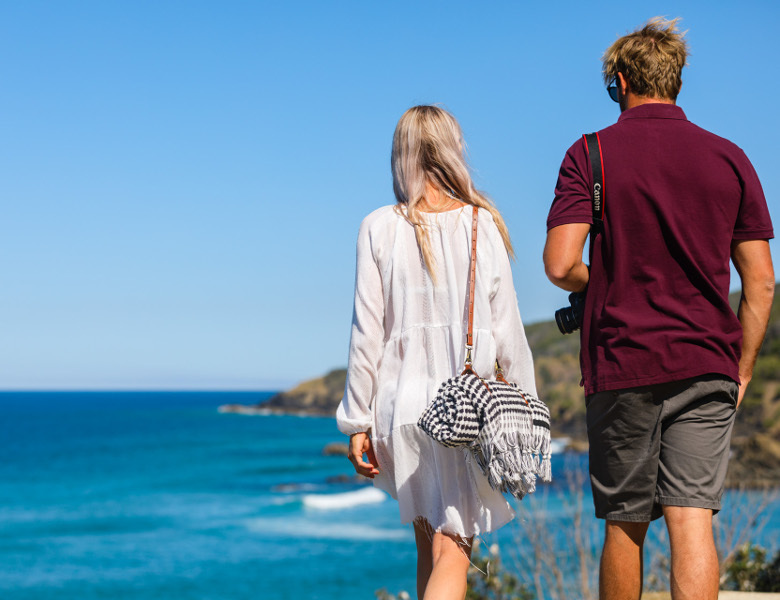 A favourite walk for many locals, this stunning coastal walk can be started at Sharpes Beach and finish roughly halfway at Boulders Beach or further along at Pat Morton Lookout. This man made bush track follows the coastline offering sweeping views of our eastern coastline. It is peaceful and relaxing and can be done from either starting point - Pat Morton to Sharpes or vice versa. Pack a picnic and escape on any one of the vantage points - under a pandanus tree or soak up the sun. This is an ideal walk particuarly in the whale season.